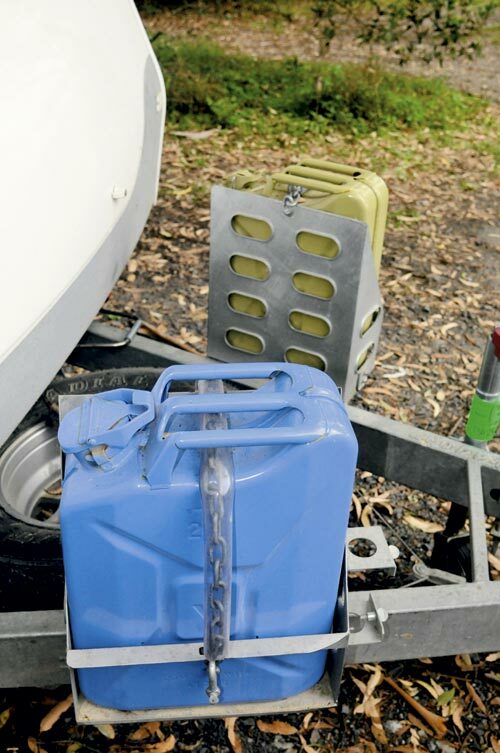 Matching the performance of your tow car to your caravan is not just a matter of ensuring its braked trailer capability is equal to or higher than the van’s Aggregate Trailer Mass (ATM) – its maximum permissible weight. When the caravan is being taken to the edge, and often beyond, its road comfort zone, a good marriage becomes even more important – both on the hitch and in the tow car! For example, there’s been a rash of offroad caravans on the market in recent years whose makers claim are suited to ‘medium-sized’ 4WDs. If they are talking about a Toyota Prado off the showroom floor, remember that it has a braked towing capacity of just 2500kg for the most popular five-door model – the same as a 3L Patrol with automatic transmission, and a Holden Rodeo. 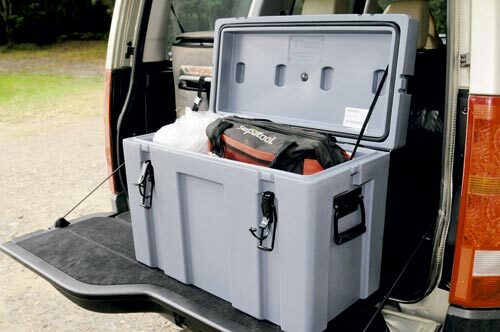 But as most full-sized 19-21ft offroad vans weigh close to that with their water tanks and jerrycans full, and with personal gear and supplies loaded, it’s pretty clear that you’ll be walking a fine legal line if you come to grief and your insurance company doesn’t want your on-going business. 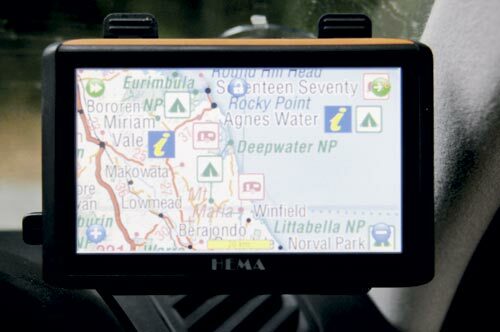 If you are planning to travel on the unmade, dusty, often rough, sometimes steep and occasionally-slippery roads where your RV maker suggests you can take your tough-talking caravan, then your tow vehicle’s highway tyres, standard air filter and regular tow hitch may not be up to the task. Reviewing new caravans for Caravan World regularly throws a curve ball in my direction as, while they are usually unladen, you can sometimes find yourself backing up to something weighing close to 3t, with a photographer keen to explore its limits for a cover photograph. Then there are the hybrid vans, designed for rough-road travel, which can come in as light as 1.5t. So, although it’s overkill for hauling our personal 14ft Outback-spec Jayco Expanda on holidays, I have equipped my 2008 Land Rover Discovery 3 TDV6 to handle whatever is thrown at it. The starting point with the Disco was to improve its towing ability, but with a 3500kg braked capability and 440Nm available from its 2.7L turbodiesel engine, grunt and strength were never in question. It was the low-slung towbar hitch that earned it the well-deserved nickname of ‘the plough’. Sitting too low, it greatly reduces the vehicle’s departure angle but, even more incredible for a vehicle designed to tow offroad, you can’t remove the under-floor spare wheel on a D3 with the standard hitch fitted, so you can imagine the hassle if you get a flat tyre with a heavy van hitched up. 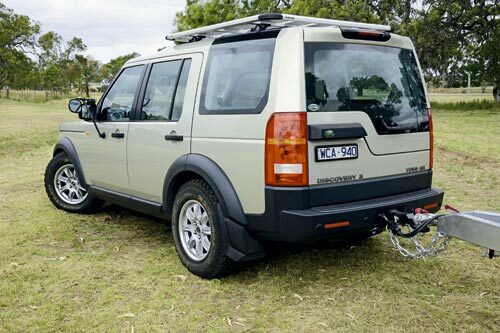 The spare wheel issue has been resolved with a revised factory hitch on the Discovery 4, but it will cost you close to $700 if you want to update your D3, and it will still sit too low. 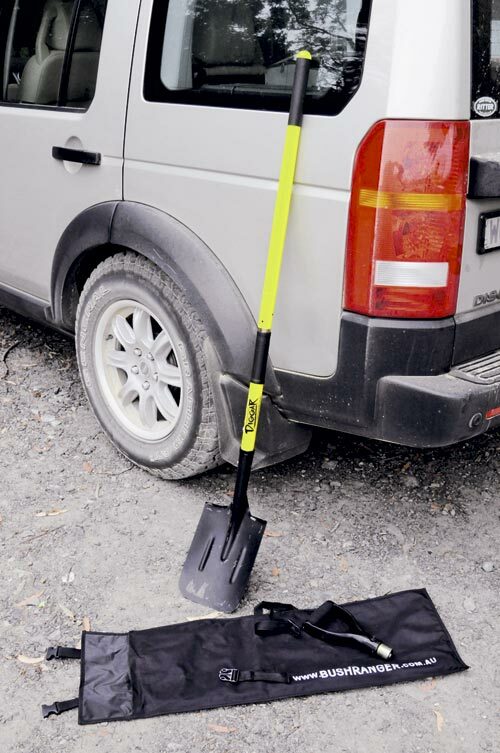 Engineer Aaron Mitchell’s better solution was to design a steel 3.5t-rated and ADR-compliant hitch that utilises the wedge-shaped recess of the factory hitch and bolts to the D3’s hitch base and bumper-mounted towing eye. 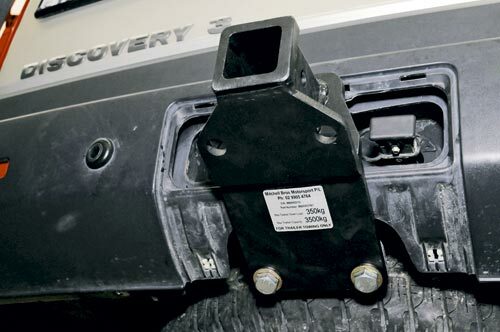 It took nine months and several hundred hours to develop, but the result is a bumper bar-level hitch that weighs just 8kg and sits 200mm higher than a factory D3 equivalent (150mm higher than a D4 hitch) to ensure your offroad trailer tows level. 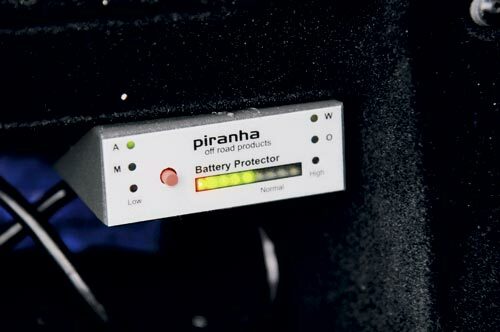 It is also stronger, easier to use, does not impede removal of the spare wheel and only reduces the vehicle’s departure angle by 1° compared with the factory unit and, for $695, it’s a no-brainer if you are planning to tow an offroad camper or caravan. Melbourne Land Rover specialist Ritter Automotive, which has fitted many of the 700 ‘Mitch Hitches’ currently in service around Australia, says the job takes up to two hours, including the fiddly task of rotating the rear bumper parking sensors so they don’t go hysterical when they see the protruding hitch. When towing conventional on-road caravans, I simply fit an adjustable drop-hitch, which replicates the height of the standard D3 hitch. 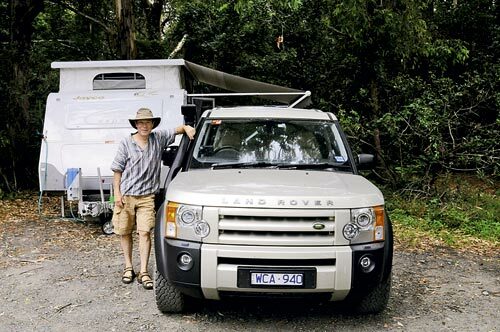 When testing a range of caravans and trailers, I never really know where I will end up: travelling at up to 110km/h on a freeway, down a heavily corrugated road, in sand or even through the middle of a creek! So the Disco needed to be fitted with the best possible all-round tyres to cope with whatever conditions we might encounter. But as they were to stay on the vehicle in between tests, they couldn’t be noisy, had to have good wet-weather bitumen cornering and braking grip, and needed to wear well. I think I’ve found the ideal compromise with the General Grabber AT2, which was recommended to me by three separate Land Rover dealers. The name mightn’t be a ‘household’ one to most Australians but, after being founded in the US back in 1915, the General Tire Co was sold to Germany’s Continental AG in 1987 and Continental now distributes Grabbers in Australia. 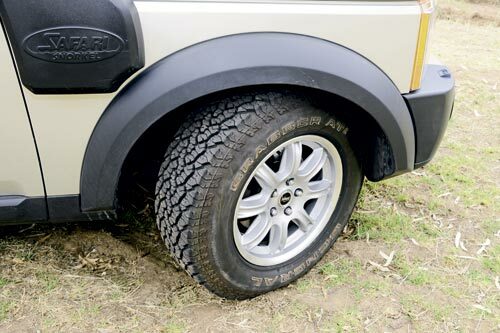 I could have fitted them to the Disco TDV6 SE’s standard 18in wheels, but I wanted more ‘squish’ in the tyres to iron out corrugations and to better handle sand at low pressures – not a strong point with the heavy LR – so I decided to swap to 17in rims and larger section tyres. Discovery 3 base models come standard with 17in wheels, but these OE alloys are now scarce and expensive, as similarly-minded people have sought them out for offroad duties. Fortunately, there is a better and stronger solution right on our doorstep. Family-owned and South Australia-based Performance Wheels, which supplies HDT Special Vehicles, Coromal and Jayco Caravans (and numerous racing teams), makes a 17x8in, seven-spoke aluminium wheel called the BB-6, which has a 1400kg load capacity, making them much stronger than my original LR 18in wheels, which are rated at 950kg. They cost a very reasonable $268 per wheel and are a legal fit with only a marginally larger offset that still allows them to sit comfortably under the Disco’s mudguards, and you can have them in platinum silver, gloss black or white, either fully-painted, with a machined lip, or a machined full front face. The standard LR wheel nuts won’t fit, but Performance Wheels come with chrome, stepped nuts that will accept either a 19mm or 21mm socket. We had a choice of 17in Grabber sizes to fit them, but went for 245/70R17s because their overall diameter almost perfectly matched the factory OE Goodyear Wrangler 255/60R18s. They fitted beautifully onto the BB-6 rims and look like they were made for the D3. Better still, they have proved excellent in every road condition thrown at them. While not pretending to be as grippy in heavy going conditions as a heavily lugged light truck tyre, they have improved the Disco’s offroad traction considerably. Yet after 15,000km – including a trip to the top of Cape York on a Nissan Navara V6 turbodiesel towing a new Track Trailer Topaz Series II weighing 1.9t laden (see page 94) – they still run quietly on freeways and appear to be less than one third worn. The ride is a little firmer, but still well within ‘comfort’ range, the steering is no heavier and the fuel consumption, despite the increased ‘drag’ of the more heavily sculptured tread pattern, is hardly affected. Back on my Disco, the major benefit, of course, is noticeable as soon as you leave the blacktop. The D3 now has the ‘bite’ I need to tow camper trailers and offroad caravans up some pretty steep and slippery slopes. “Why do you need a snorkel?” my wife asked. “We are not going in rivers that deep, are we?” Well, no, at least not intentionally, but that was not the reason I booked the vehicle into ARB’s Melbourne HQ for a longer ‘nose’. Having a now-ingrained love of red dirt roads, my concern was more about dust than water entering the engine and the Safari Snorkel gives me that security. 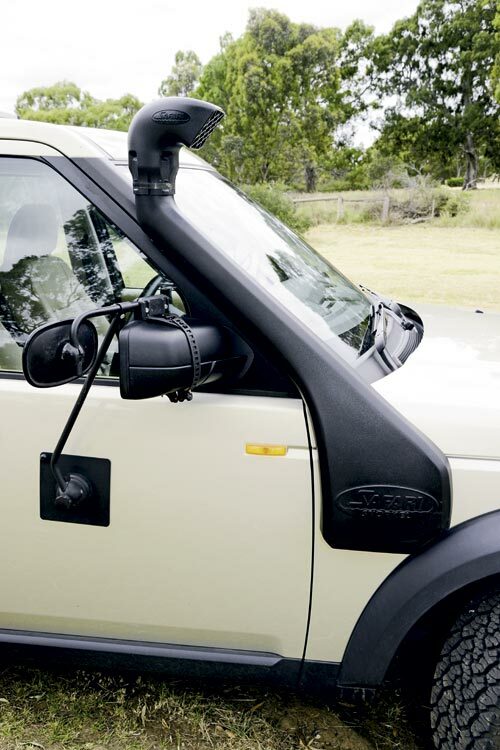 I could have chosen the official Land Rover snorkel, but I was drawn to the Safari because it was designed and is made in Australia from a UV20 rated plastic that has been designed to withstand the scorching temperatures you can find in the outback. It is also ready to accept a range of pre-cleaner elements for use in really dusty conditions. While at ARB, I had them fit one of the new Rhino-Rack Pioneer Platforms, because there are places on our travels, such as the Bungle Bungles and some national parks, where a caravan – even a very capable offroad one – couldn’t, or shouldn’t, go. In these instances we pack our ‘30-second’ OzTent RV-4, a pair of camp stretchers, a few camping accessories, and use the van as a base station while we explore further afield unhitched. As the RV-4 tent is nearly 2m in length, it is more conveniently carried on the roof than inside the Disco. 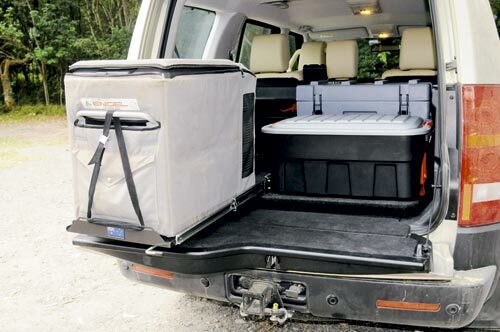 That’s why I went for the aluminium Pioneer Platform, which weighs only 22.5kg, as it also offers us the possibility of carrying a second mounted spare wheel and tyre out of the way, while staying within the Platform’s (and the Disco’s) rated 100kg roof loading. We haven’t got a bull bar, not because I don’t think they are a good idea when travelling extensively in outback areas, but because our Disco is an ‘urban warrior’ for 75 per cent of its life, yet needs to be prepared for a variety of towing duties the rest of the time. 1. 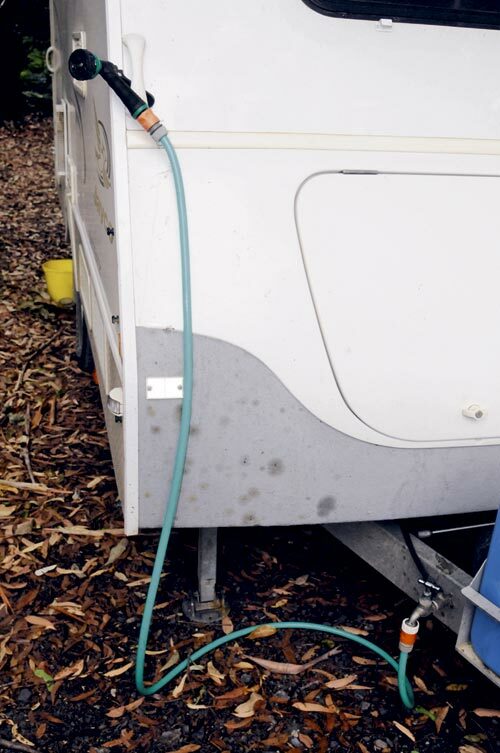 Ensure that the rated towing capacity of your tow vehicle is at least equal to (or preferably in excess of) the ATM of your caravan. The towing capacity rating is derived from many factors that can include the strength of the vehicle’s towing attachment and frame/chassis, the capability of its engine/transmission and its ability to operate within safe operating temperatures when under load, and the mass of the tow vehicle relative to its trailer. 2. 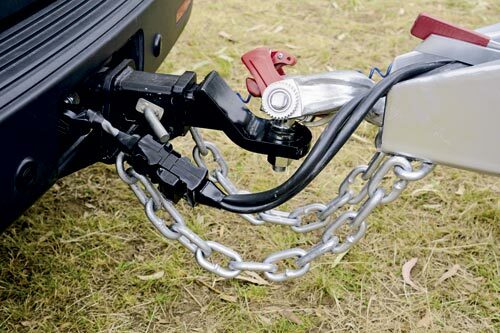 Ensure your tow vehicle is fitted with the correct hitch for your caravan and the terrain you plan to take it. 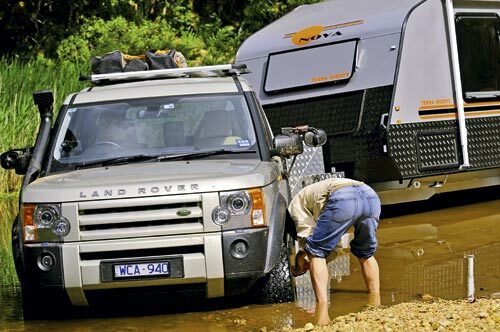 Remember that an offroad caravan/camper will usually have a much higher hitching point than a regular on-road caravan and either the mounting point of your vehicle’s hitch or the tongue – or both – must be at the right height and strong enough to take advantage of its offroad ability. It would pay to fit your caravan with an appropriate offroad hitch. The most common 50mm ball coupling has limited articulation for traversing riverbanks and severe undulations compared with dedicated offroad hitches, which can often pivot up to 360 degrees. 3. 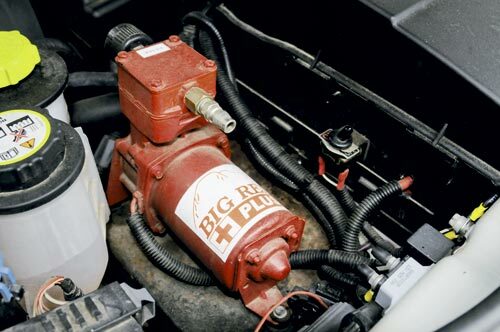 Before fitting load-levelling devices, confirm that they are approved by the tow vehicle’s manufacturer. In some cases where they’re not approved, the hitches can lead to body/chassis fractures by redistributing the load to areas not designed to take it. 4. Fit suitable tyres to your tow vehicle. 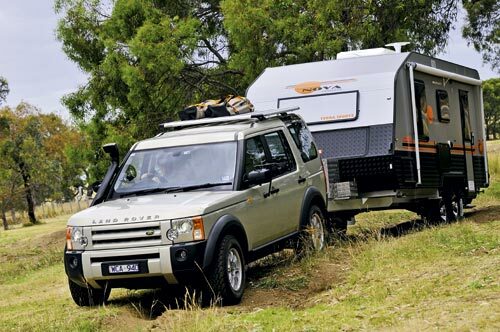 The road-based tyres fitted as standard will not usually be the best choice for towing a heavy caravan through offroad terrain and may be more susceptible to punctures and sidewall damage off the bitumen. Ideally, fit the same size tyres to your tow car and van. This will provide you with additional spares in an emergency. 5. 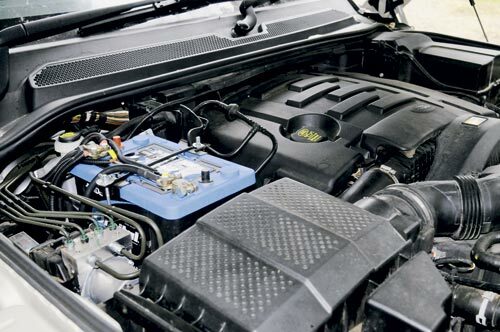 Consider fitting your tow vehicle with an auxiliary deep-cycle battery to supplement its starting battery, combined with a battery management system. 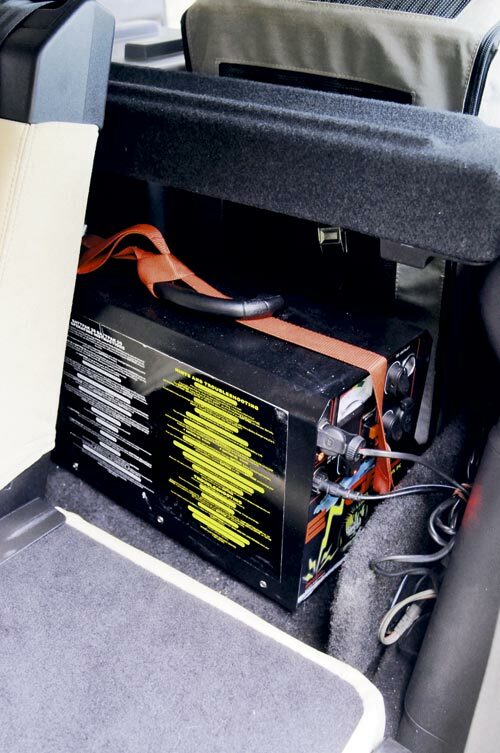 This will allow you to power a portable fridge/freezer without the risk of running your starting battery flat. Originally published in Caravan World magazine #511, February 2013.